Nice is a ½ hour comedy-drama pilot about a young Asian American woman obsessed with fantasy football. However, she battles breast cancer for a second time all while keeping it a secret from her friends and family. 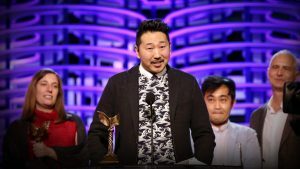 Independent Spirit award-winning director Andrew Ahn partners with McKnight Media Arts Fellow Naomi Ko to create a high stakes coming-of-age TV pilot that explores the Minnesotan Asian American experience. Both are excited to shoot this funny, heartwarming, and one-of-a-kind pilot in the Twin Cities. Production will begin in November, 2017. Naomi Ko is a filmmaker, actor, and storyteller. She is a Moth StorySLAM winner, a featured performer for Mortified, and producer of The Comedy Comedy Festival: A Comedy Festival. She played Sungmi in the 2014 award-winning feature film, Dear White People. In addition, Ko writes for the stage and screen (and has ghostwritten the occasional romance novel.) Her work has been developed by Warner Bros. and supported by the Knight Foundation, the Metropolitan Regional Arts Council, Solidarity MN, Building More Philanthropy with Purpose, and the Council of Asian Pacific Minnesotans. She works in East St. Paul to train the next generation of Asian American Minnesotan filmmakers. Currently, Ko’s writing and performance will be featured in the upcoming Netflix series, Mortified’s Guide To. She is a 2017 McKnight Media Artist Fellow. Ko graduated with a degree in art history and English literature from the University of Minnesota. Andrew Ahn is an award winning Korean-American filmmaker born and raised in Los Angeles. His debut feature film Spa Night won the 2016 Independent Spirit John Cassavetes Award and premiered at the 2016 Sundance Film Festival in the US Dramatic Competition. Ahn participated in the Sundance Screenwriters Lab, the Film Independent Screenwriting Lab, and the Film Independent Directing Lab for the project. With his producing team, Ahn raised over $62,000 on Kickstarter to fund production. The project also received a Sundance Institute Cinereach Feature Film Fellow grant, Panavision New Filmmaker grant, and FilmLA grant. Ahn’s short film Dol (First Birthday) premiered at the 2012 Sundance Film Festival and has screened at numerous other festivals and venues around the world, including the Lincoln Center, REDCAT, and the Los Angeles Film Festival. The film received the Outfest Grand Jury Award for Outstanding Dramatic Short Film and the Austin Gay and Lesbian International Film Festival Jury Award for Best Narrative Short. 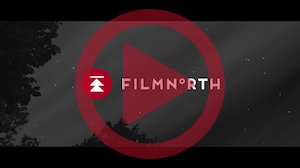 Ahn is an alum of Film Independent’s Project Involve and has promoted diversity in the arts by mentoring youth filmmakers through programs like Pacific Arts Movement’s Reel Voices and Outfest’s OutSet. He is also a board member of Los Angeles Performance Practice. He graduated from Brown University and received an MFA in Film Directing from the California Institute of the Arts (CalArts). Carolyn Mao is a producer based in LA. Her first feature Good Enough premiered at Boston International Film Festival where it won the Indie Spirit Best Actress Award. 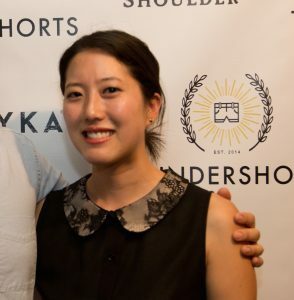 She co-launched the award-winning comedy web series platform, Thundershorts.com with series featuring Michael Showalter, Jim Gaffigan, and rising New York based comedic talent. She also produced the 2011 Gen Art Audience Award winning short, Saeng-il, by Jennifer Suhr. Previously, she worked as a development executive at Jane Startz Productions where she developed book properties for film and television, including Emmy award-winning children’s series Spooksville. 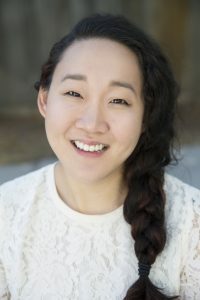 Carolyn is a Film Independent Producing Fellow, Fast Track participant, and Tribeca All Access grant recipient for You And Me Both, a narrative feature with lead Constance Wu (Fresh Off The Boat.) Carolyn is currently a Film Independent Project Involve Fellow and was awarded the Amazon Studios fellowship and is also a Time Warner OneFifty Artist. For more information on this project, please send us an email at gokogoproductions@gmail.com. Thank you, we appreciate your support!